The screening will be followed by a Q&A with artist and filmmakerLuke Fowler, in discussion with Professor Tony David and Dr Vaughan Bell from the Institute of Psychiatry, Psychology and Neuroscience. All Divided Selves explores the life and legacy of the controversial Scottish psychiatrist, R D Laing (1927-1989). Laing famously argued that normality entailed adjusting to an alienating and depersonalizing world. Thus, those society labels as ‘mentally ill’ are in fact ‘hyper-sane’ travelers. The film concentrates on Laing and his colleagues as they tried to acknowledge the importance of social environment and disturbed interactions within institutions in the aetiology of human distress and suffering. 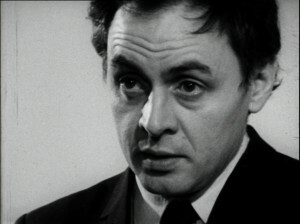 Using a collage of archival material the film portrays the vacillating responses to Laing’s radical views and the less forgiving responses to his latter career shift; from eminent psychiatrist to enterprising celebrity. This is an open meeting – all are welcome (including psychiatry trainees, service users, IoP staff, and members of public). No need to book – just turn up. Wine and snacks provided. Look forward to seeing you there!